Is this a movie? Or something much better? There are many great things about 'La Chinoise', including its political and historical importance, which have been elaborately discussed by film enthusiasts all over the world, so I'd like to add only my very personal thoughts about this film. 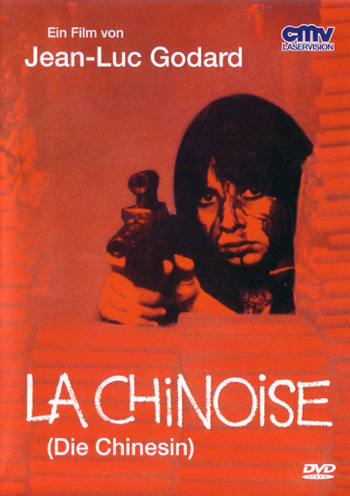 Personally, 'La Chinoise' stands very much apart from, if not above, all of the films I've seen. 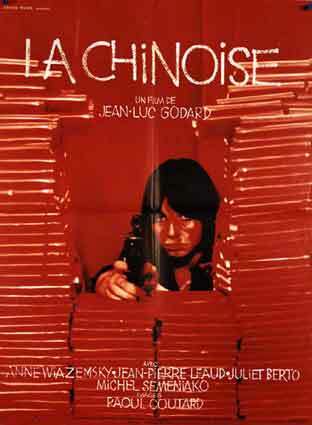 While other films of Godard make me feel they are great movies, 'La Chinoise' doesn't make me feel like that. It makes me feel as if I hadn't seen a film, as if I'd just had a very nice and exciting conversation with friends, as if I'd just had a very lively discussion with them, as if I'd just participated in a hot debate, as if I'd just quarreled with some people. No film ever made me feel like this. Scenes and dialogues worthy of remembering in 'La Chinoise' are as innumerable as in other films of Godard. Forever imprinted on my memory are the scenes when Leaud can't understand what his girlfriend says without the help of music, the droll assassination scene, and most important of all, the discussion on the train. This train scene looks so simple, yet it is very subtle and powerful. I saw 'La Chinoise' the first time four years ago, and I felt very detached from the movie. Seeing it again, I think it is one of my most favorite now.